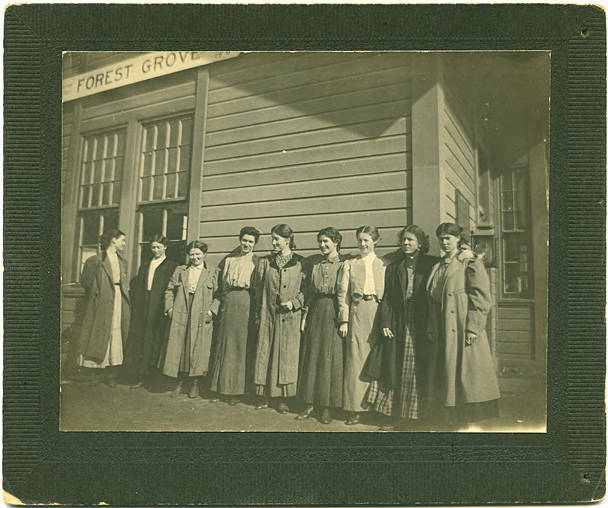 A group of women stands in front of the Forest Grove train station. They all worked as condensers for the Carnation Plant in Forest Grove, Oregon. 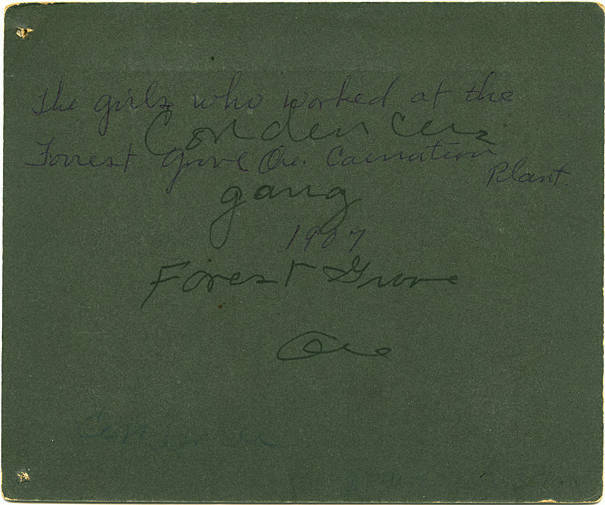 [back] The girls who worked at the Forest Grove Ore. Carnation Plant 1907; Condencers [sic] gang Forest Grove Ore.